No doubt inspired by the wave of girl power stimulated by Meryl Streep’s recent Oscar winner, the Worldwide Short Film Festival Official Selection “Iron Ladies” offers plenty of femme-centric short films. The series has much to offer in portraying the lives of girls and women (to steal a title from Alice Munro) both in coming-of-age stories and retrospective reflections. 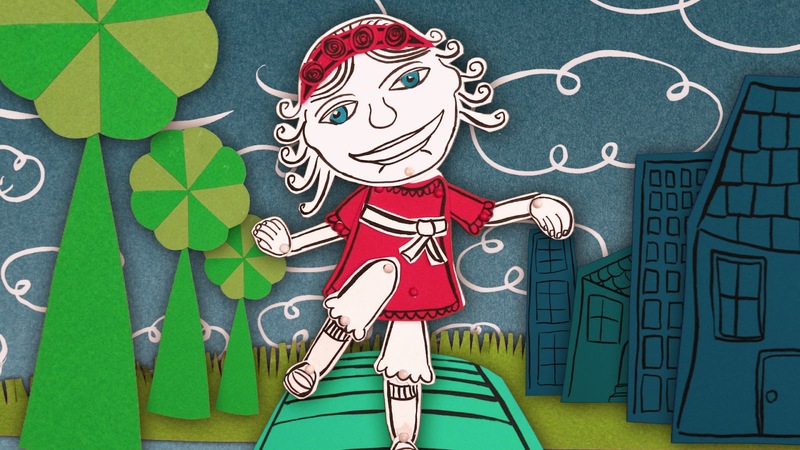 “Iron Ladies” opens with What a Young Girl Should Not Know (Canada, 5 min. 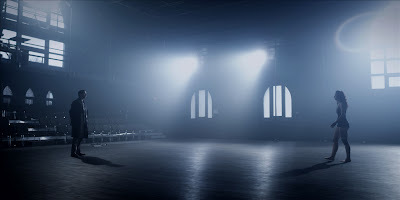 ), which is an experimental film by Emily Pickering of York University. What intertwines live action and animation, with shots of a young girl running playfully as myths of femininity are revealed in stitched title cards. By using these sewn images, Pickering offers an impressive structuralist approach of using images of “girliness” in order to deconstruct ideas of femininity. This seamless, fleeting, and freeing film nicely introduces several themes that run throughout the series. Second in “Iron Ladies” is the live-action drama Exode (Canada, 11 min. ), directed by Nathaniël Siri. A delicate choreography of love and loss, Exode tells of a young dancer (Mylène Savoie) whose heart-ache from a damaged relationship seeps into her rehearsals. Boasting the most impressive tech work in “Iron Ladies”, Exode excels thanks to beautiful cinematography by Jean-Philippe Bernier, intricate editing and match-on-action by Siri (with Justin Lachance), and intriguing sound work by Marc Gilbert. Set against an appropriately melancholy soundtrack, Exode should inspire fans of contemporary dancing with how well art imitates life in this emotional story of one woman’s reluctance to change dance partners. If viewers become morose with Exode, then “Iron Ladies” enlivens their spirits with the upbeat animated ditty Little Plastic Figure (Germany, 5 min.). 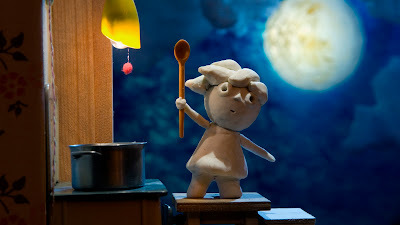 Directed by Samo-Sama, Little Plastic Figure is a whimsical stop-motion story of a woman who is watched over safely by her little plastic figure. The film is fun and playful, with the quirky visuals nicely matched to the tempo of an eclectic little song. It’s never too old to enjoy toys! After the cheerful Little Plastic Figure is the dark live-action drama Girl (Sweden, 15 min.). Coming to WSFF after playing at Sundance, this film directed by Fijona Jonuzi shows what happens when one young woman named Hanna (Vera Vitali) meets a boy at the store and takes up his offer to join a party. Hanna finds herself the lone female amongst a quartet of horny boys, and the night takes a series of turns with a mix of booze and coke. Girl might be too edgy and provocative for some viewers, but the film employs recurring ellipses throughout and comes to an abrupt ending that will likely leave most viewers anxiously wondering how the party ends. Up next is the lone documentary in “Iron Ladies”, Unravel (UK/India, 14 min.). Unravel takes viewers to the industrial workings of Panipat, India, where women refashion the discarded clothes of the western world. Director Meghna Gupta blends interviews with observational footage to show the gaps between developed and developing countries. As heaps of perfectly good threads are ripped up, unravelled, and spun back into new material (which is then sold back to western consumers), the film allows the women at the factories to use the clothes to explain how they perceive western women. The testimonies frequently note frivolity and excess: one woman speculates that westerners discard such good clothes because it is less expensive to buy new clothes than it is to wash used ones. Eye-opening and without condescension, Unravel is a smart and entertaining tale on the West’s need to change habits in consumption and waste. Making a pair of back-to-back World Premieres in “Iron Ladies”, Unravel is followed by the first appearance of Big Mouth (Canada, 8 min.). A fun animated coming-of-age story by Andrea Dorfman, Big Mouth tells of one little girl who is both blessed and cursed by her irregularly big mouth. Ever since she first opened her mouth, Trudy always told the truth. Being a child, though, Trudy doesn’t know that the truth can sometimes be hurtful; nevertheless, her parents rejoice at having such an honest child. Trudy’s big mouth gets the best of her, however, when she goes to school and some of the other kids – and teachers – just can’t handle the truth. Offering a plucky soundtrack and colourful animation, Big Mouth is a joyful romp of one girl’s journey from being a playground troublemaker to an eloquent iron lady. Last and certainly least of “Iron Ladies” is the insufferable and self-consciously edgy Snow Canon (France, 33 min.). Offering a female protagonist who is more wilted lettuce than iron lady, the film mostly shows young Vanina (Nilaya Bal) flouncing about her home in the French Alps. Vanina plays with her rabbit. Vanina sits. Vanina spends half the film texting. Vanina spends the other half pining over her babysitter (Nour Mobarak). Flat, predictable, and with a slight dose of unnecessary animal cruelty, Snow Canon is a bad wannabe Catherine Breillat film. It’s a shame that “Iron Ladies” doesn’t end with Big Mouth. Isabel Bader Theatre, Saturday, June 9 at 3:00 pm. Want to see "Iron Ladies"? Well, you're in luck! We have 5 pairs of tickets up for grabs for the screening on Wednesday June 6 courtesy of WSFF and the Canadian Film Centre. To enter, please email pat@cinemablographer.com with the subject "Iron Ladies" and provide your name and email address. And in honour of The Iron Lady herself, please include the title of your favourite Meryl Streep performance. Contest closes Tuesday June 5 at 9 am. Bonus entries go out to anyone who shares this link on Twitter with the phrase "Win tickets to see ‘Iron Ladies’ at #wsff12 from @cinemablogrpher"